Ebenezer Primitive Methodist Chapel lies on the south-western corner of the High Street and Wise Street. This was the second major chapel south of the river, both of them situated along the High Street. 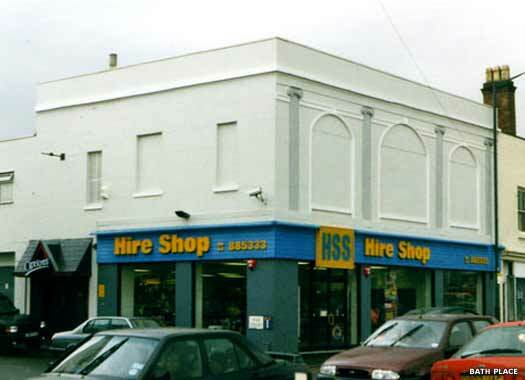 The site was originally intended for one of many of the Reverend Craig's enterprises in Leamington Spa. His idea was to build a 'Poor Man's Church' and the foundation stone was laid in September 1849. However, no work was carried out on the empty site. By 1855, the empty site was sold to the Primitive Methodists. 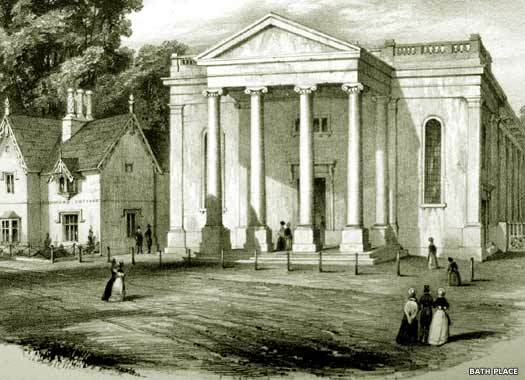 Their records show that on 13 March 1850 the 'Leamington friends be allowed to build a chapel'. On 10 January 1851 they purchased the furniture from the former Union Chapel, but their records do not show how the new chapel was built on this site. It opened in 1852 and continued in use until the Primitive Methodists moved into the empty Warwick Street Chapel (No 120). The old chapel is now a tool hire shop. 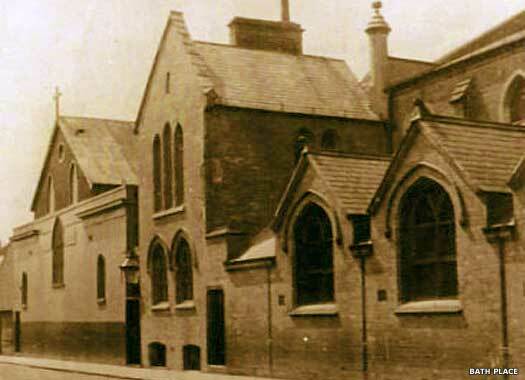 Spencer Street Congregational Chapel still stands on the northern side of Spencer Street, almost opposite Lower Avenue. It was the successor to the Union Chapel on Clemens Street, built close to the spa bathhouses in 1836, and was later shared with several denominations. 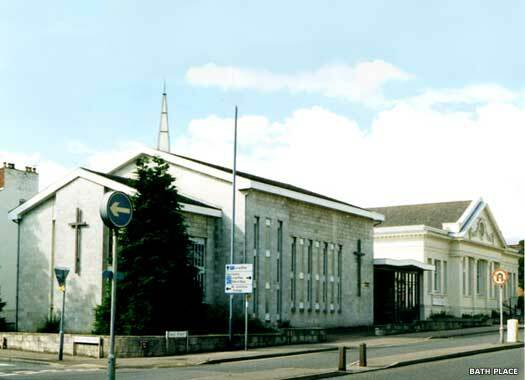 In 1992, its United Reformed congregation merged with Trinity Methodist Church, leaving this building, which looks virtually unchanged today, for secular use, firstly as a carpet warehouse. The Catholic Church of St Peter the Apostle is on the north-western corner of Dormer Place and Bedford Street. The congregation moved here from George Street (Leamington Spa Mission) in 1864, when this new church was completed to a design by H Clutton. It was burnt down in 1883, except for the tower which had been built in 1878. The church was rebuilt in red brick with stone dressings in 1884, but the tower suffered structural problems and had to be shortened. Dale Street Methodist Church fills the north-western corner of Dale Street and Portland Place West. 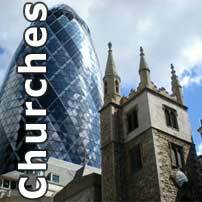 In 1817 the Wesleyan Methodists established a place of worship in a loft in Barnacle's Yard, Satchwell Street, and then a small building in Brunswick Street. 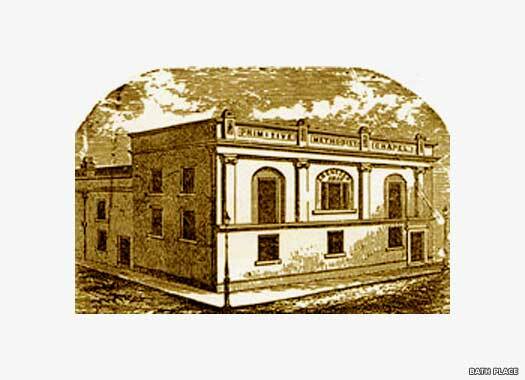 They built the Portland Street Chapel in 1825 and replaced it with an elaborate edifice in 1870. 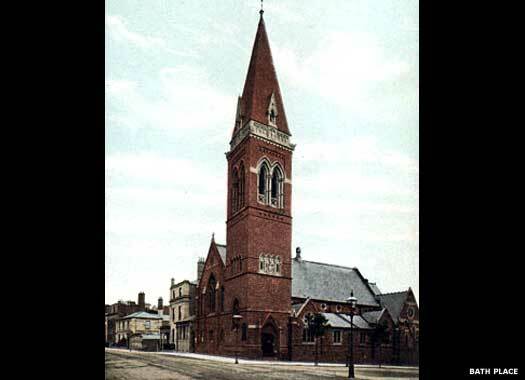 This was replaced by the present Dale Street Church in the 1970s when the old building proved too expensive to maintain. St Alban's Church formerly stood on the south-eastern corner of Warwick Street and Portland Street. It owed its origins to one of the Reverend Craig’s several doomed schemes to build a chapel of ease for the poor. The iron chapel was officially called the The New Opposition Church, and was moved to this site in 1864. 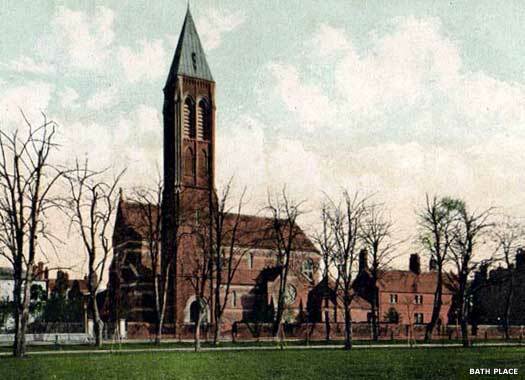 Rebuilt in brick as St Michael's & All Angels, by 1881 it had been sold and renamed St Alban's. It finally closed in 1964 and was demolished in 1968. The Mission Church of the Good Shepherd now lies under the Priors Shopping Mall on the southern side of Warwick Street alongside the lost Satchwell Street. Built in wood and iron the 1880s by the new vicar of All Saints, it was replaced in 1889 by the more substantial structure pictured. The church and mission hall was intended to cater for the poor of the district, but services faltered around 1914, and the building was closed in 1924, and demolished in 1938/9. All photos on this page kindly released for republication by Bath Place.